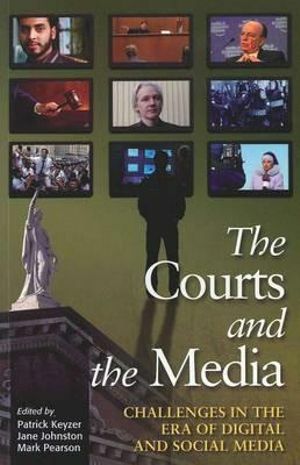 An advance copy of the sixth edition of The Journalist’s Guide to Media Law (Allen & Unwin, 2019) which I co-author with Mark Polden just arrived in my letter box, ready for the 2019 academic year. We are all journalists and publishers now: at the touch of a button we can send our words, sounds and images out to the world. No matter whether you’re a traditional journalist, a blogger, a public relations practitioner or a social media editor, everything you publish or broadcast is subject to the law. But which law? 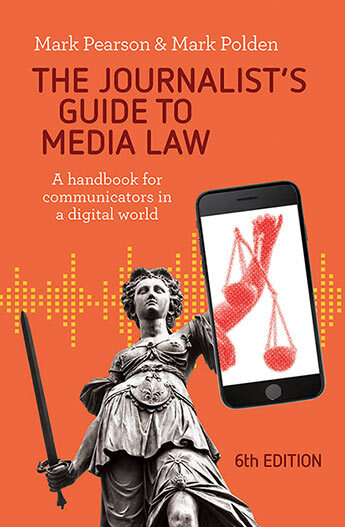 This widely used practical guide to communication law is essential reading for anyone who writes or broadcasts professionally, whether in journalism or strategic communication. 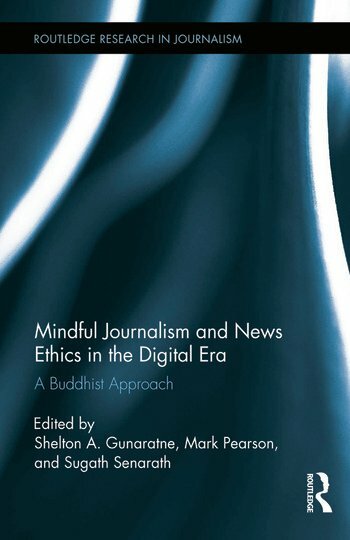 It offers a mindful approach to assessing media law risks so practitioners can navigate legal and ethical barriers to publishing in mainstream and social media. This sixth edition has been substantially revised to reflect recent developments in litigation, and the impact of national security laws and the rising gig economy where graduates might work in the news media, PR, new media start-ups, or as freelancers. It covers defamation, contempt, confidentiality, privacy, trespass, intellectual property, and ethical regulation, as well as the special challenges of commenting on criminal allegations and trials. Recent cases and examples from social media, journalism and public relations are used to illustrate key points and new developments. Whether you work in a news room, in public relations or marketing, or blog from home, make sure you have The Journalist’s Guide to Media Law at your side. If you wish to request a copy for course inspection or media review please contact the publisher, Allen & Unwin, who should soon have printed copies available. 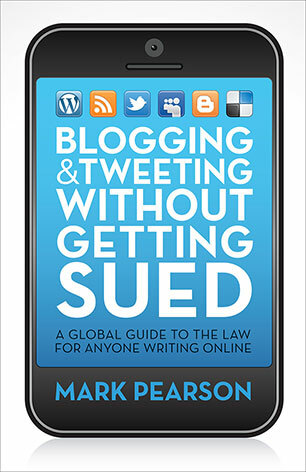 © Mark Pearson 2018 – the moral right of the author has been asserted. Danish School of Media and Journalism media law associate professor Thomas Pallesen visited us at Griffith University this month and delivered guest lectures to my media law classes. We recorded this interview where he explained the European approach to media law, particularly how courts strike a balance between the rights to free expression and privacy. View the interview here [10 mins 05 secs, produced by Shenil Ranpura, Griffith University]. A passage by the great philosopher John Stuart Mill in his seminal work ‘On Liberty’ seems prescient almost 160 years after it was published. It offers insights into ‘false news’ in a ‘post-truth era’. Much has been written about the sycophants who surround some leaders of politics and business, too fearful to suggest that their views might just be wrong or misguided. In modern times some have suggested that nobody in the White House would dare question or debate the assertions US President Donald Trump emits daily via Twitter and at rallies of supporters. They have called it the “Emperor with no Clothes” phenomenon. Related to this is the suggestion that social media and modern means of communication adds to the “echo chamber” where we accept as truth the rumours and assertions of those we “follow” or of commentators on the media channels that best suit our world view. Again, it is said that the echo chamber for Trump and his supporters centres upon information and commentary in Fox News, which he has excluded from his rants against what he labels ‘fake news’ in other media. While the communication media might have changed since 1859, there is nothing new about this, because Mill warned us of both phenomena in his landmark text. I stumbled upon the passage this week when researching an address for a conference session and thought it was timely to share it with you here.